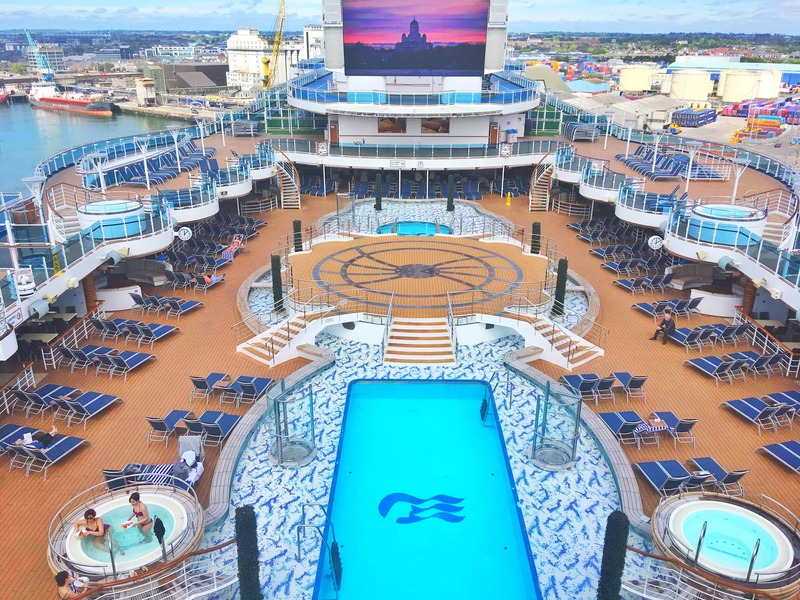 In May 2018 I boarded the Royal Princess for a British Isles cruise. The Royal Princess was INCREDIBLE and I had an amazing time on her. I was lucky enough to take this cruise as part of a press trip which meant that I got to hang out with ‘proper’ writers like newspaper journalists (all very fancy). 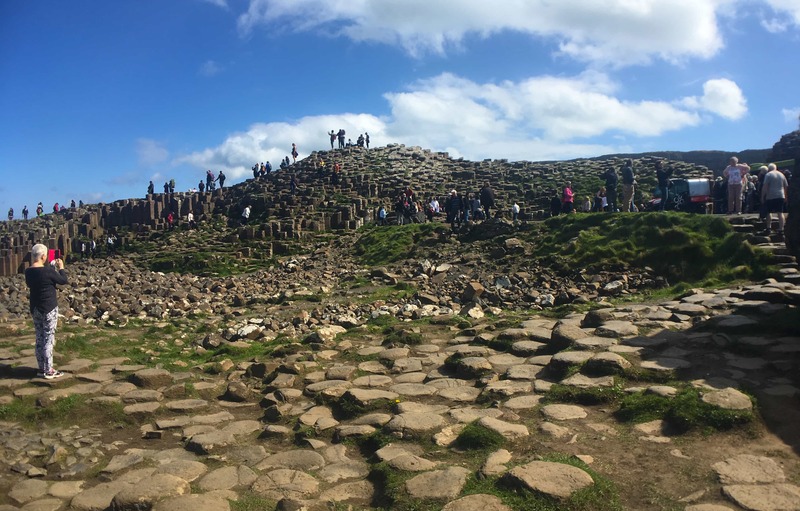 If you are considering a British Isles cruise and with Princess and are unsure about what to do in the ports then this is the post for you! During this post, I will be reviewing the excursions and sharing with you some pictures that I took along the way. The British Isles are never really a place that I had considered as a cruise destination but I loved the cruise. 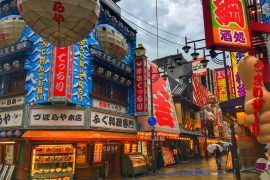 I never knew we had so many amazing places so close to home! 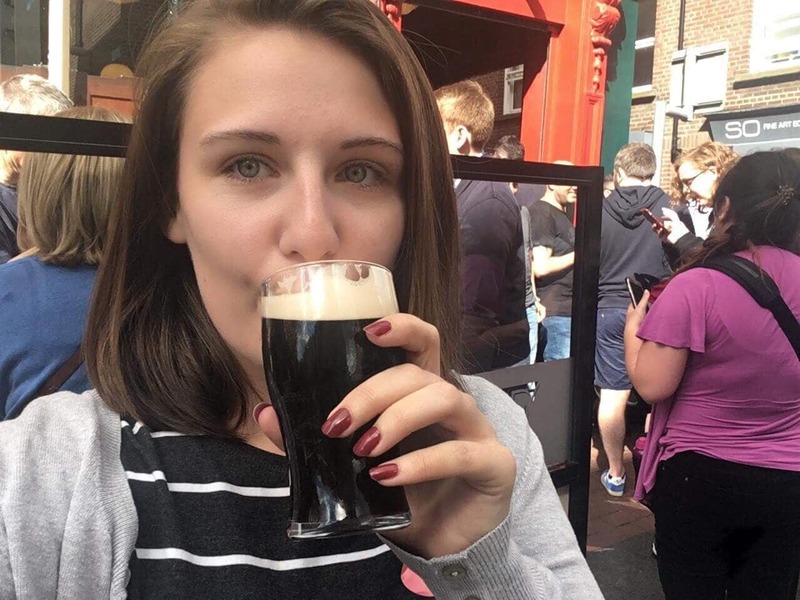 During this tour, I had my first ever pint of Guinness!! Technically it was a half pint but I’m still pretty proud of myself. 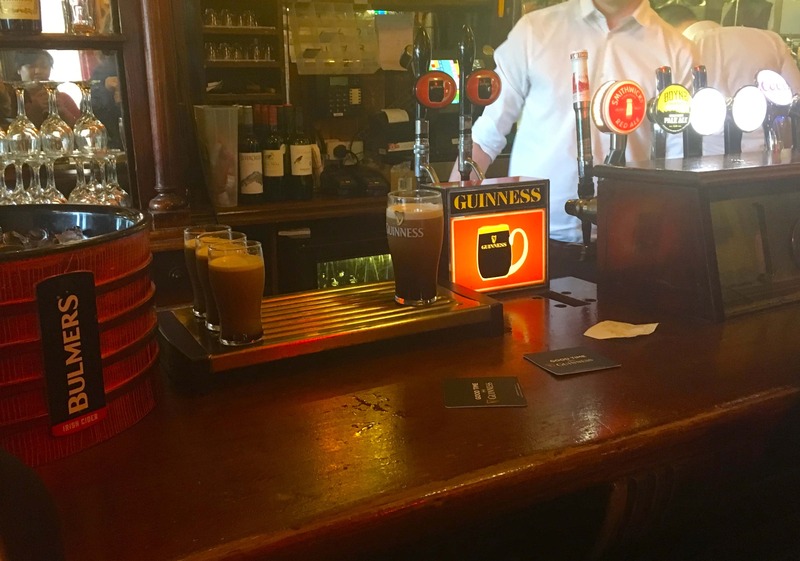 It wasn’t half as bad as I feared it would be but apparently, it tastes better in Dublin so who knows what the regular English version is like! We were lucky enough to be greeted by glorious sunshine when we arrived in Dublin. They say that everything looks better in the sun and it is true. Dublin is already a gorgeous city but the sunshine made it extra special. The streets were lined with people enjoying themselves in the sunshine. The walking part of this tour is around two hours which I would consider about perfect for a walking tour. Dublin is pretty easy to walk around and there is something to see on every street that you pass. We made this trip in May and the temperature was in the early 20s (c)/ 70s (f). 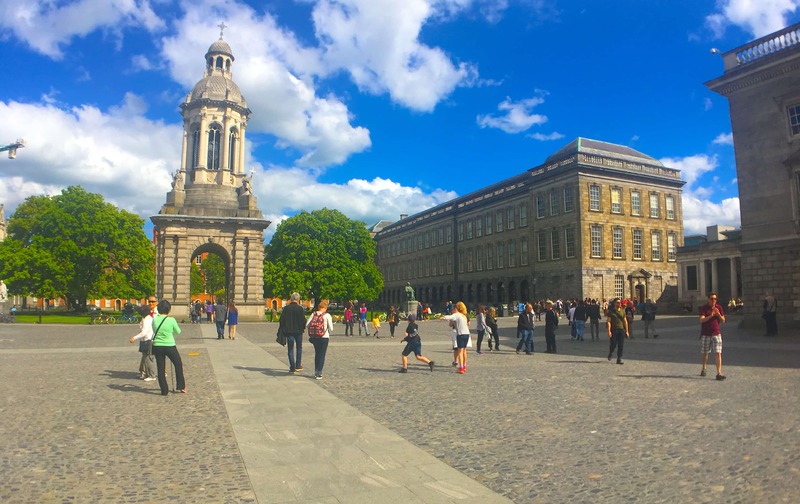 There is an opportunity in the tour to have a wander around trinity college. The perfect spot to get some photos in the sun! I even took my cardigan off at this point, that is something that I never thought would happen! The weather was amazing. I did enjoy this tour but feel as though this one probably could be done by yourself providing that you download a good walking map. Of course, there are benefits of booking the excursion through Princess. For example, if you book a Princess excursion the ship will wait for you if you get delayed and you won’t be left behind! 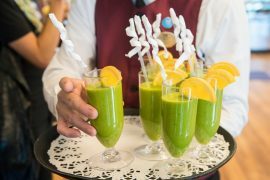 I know a lot of people enjoy taking excursions organised by the cruise line but for me, these are a treat and if I could only afford one excursion on this cruise I wouldn’t necessarily pick this one. 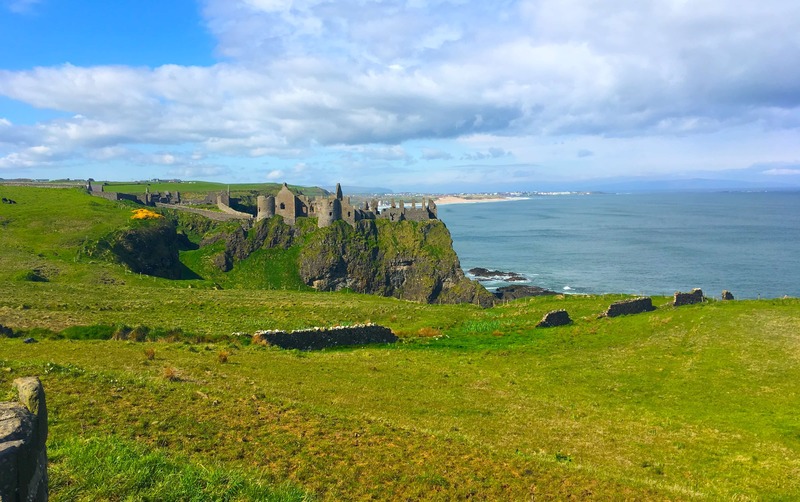 If you would like to know more about this tour click here: British Isles Princess Cruise – Local Connections: Giant’s Causeway. 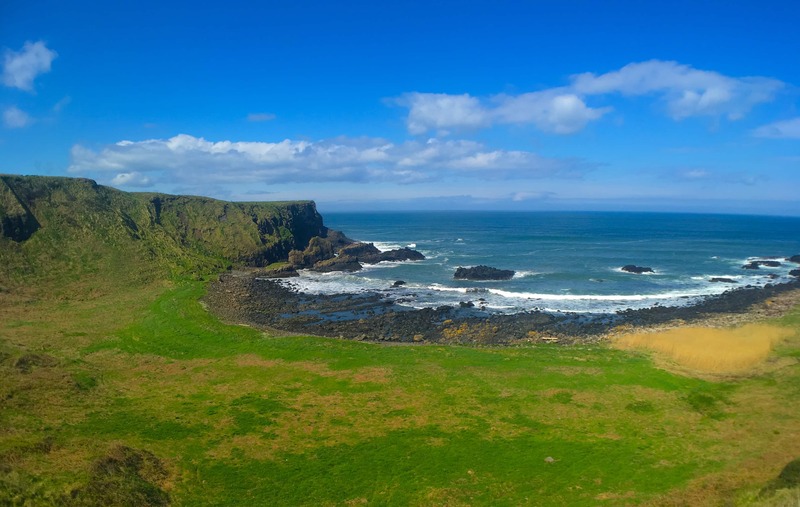 Belfast is around a two-hour drive from the giant’s causeway. I have to admit that I took travel sickness pills for this one, just in case! Much better to be safe than sorry in my opinion. I get ridiculously travel sick and also seasick too. What a terrible advocate for cruising I am. Although I think the fact that I still love cruising despite occasionally getting seasick shows just how much fun cruising really is! 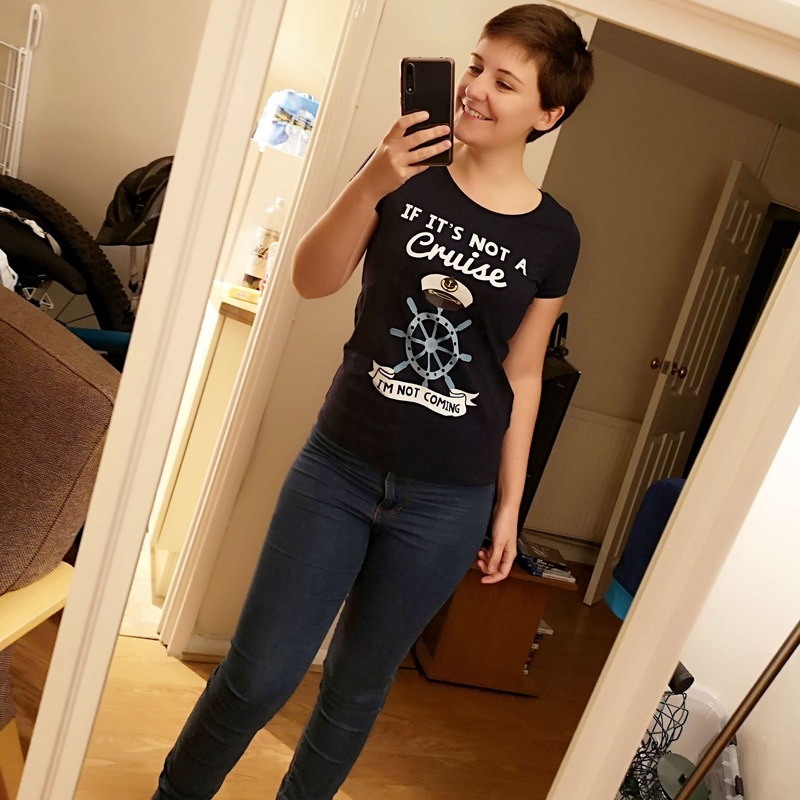 I recently filmed a video about how I deal with my seasickness. 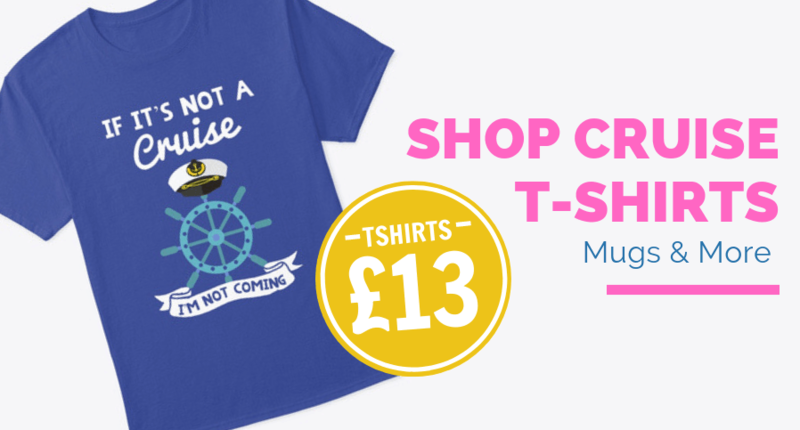 If you are worried about getting seasick I’d recommend you give it a watch: How I cope with seasickness. We stopped on route at Dunluce castle to get a photo. The coastline was stunning and again we were blessed with glorious sunshine. The causeway itself is breathtaking. Well worth the journey! When you arrive you’ll be taken into the new visitor’s centre which was built in 2012. (Not sure that 2012 really is ‘new’ that’s 6 years ago!) Anyway, the visitor’s centre has lots of interesting things if you fancy learning a little about the history and science behind the causeway. They say that the walk down takes 20 minutes although they must have measured this with somebody who was walking really slowly. It didn’t take us that long even though we stopped to take a photo every few metres! All of the scenery around the causeway is incredible and you listen to an audio tour on the way down. 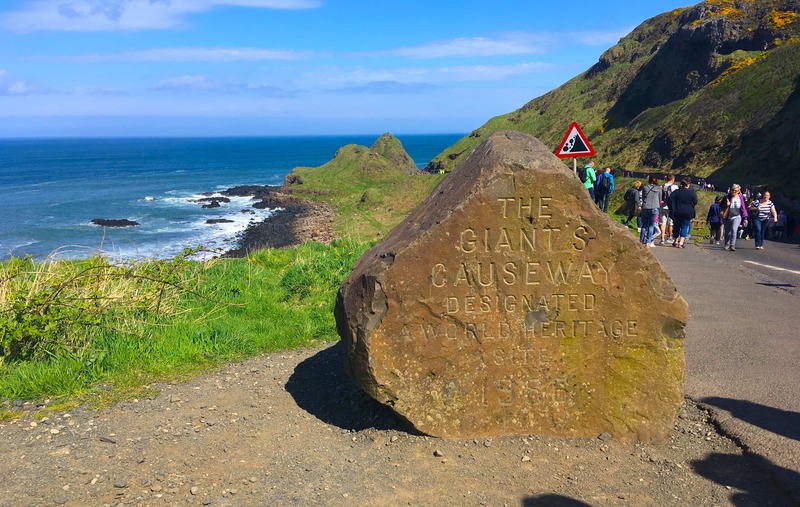 The audio tour was really interesting (more than most) and told us a little about the history of the Causeway as well as the legends that surround it. It is worth mentioning that there is a bus you can get down to the bottom and back up but this comes at a cost (£1 each way) and there were really long queues when we were there. I would avoid taking the bus unless of course you can’t walk for some reason. The causeway itself is breathtaking. We spent a long time here and could have spent a lot longer. The causeway felt quite busy (it’s very popular) so as a result a lot of our time was spent trying to take photos without people in them. It’s also really REALLY windy here, so even if it is warm out be prepared for some wind. It’s worth noting that there isn’t a lunch stop on this tour so it may be worth bringing a snack! Next, we travelled to the Carrick-a-rede rope bridge. You do not get to cross during this tour which is a shame. I don’t care overly for rope bridges or heights so that’s fine by me! The bridge was first built in 1755 by fisherman, rest assured though that the national trust have replaced the bridge and I’m sure it’s now very safe. 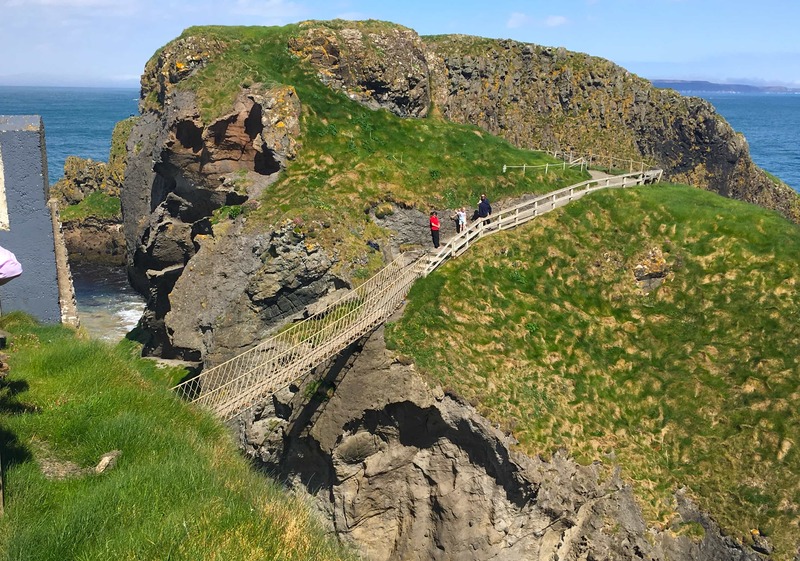 The Carrick-a-rede rope bridge is extremely popular and to cross the bridge can often mean a wait of a couple of hours. There simply isn’t enough time to do this on the tour. I really enjoyed this tour and I think doing it as part of a Princess excursion made it a lot easier. There is a lot of ground to cover and knowing that everything is planned out for you is really nice. The excursion takes a full day (and you will be exhausted afterwards) so although this one is a little more pricey, I feel like it’s worth the money. 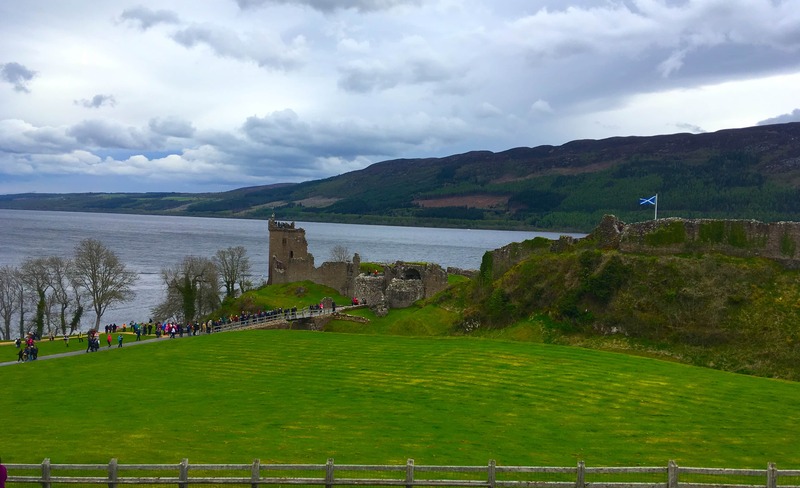 If you would like to know more about this cruise click here: British Isles Princess Cruise – Loch Ness and Urquhart Castle. I think this was my favourite excursion and if I had to pick only one it would definitely be this one. It was a little colder this day but I still really enjoyed the tour. There is something magical and mysterious about the Scottish highlands. The drive from Invergordon to Loch Ness is approximately an hour. The scenery that you drive through is absolutely incredible so rest assured that you won’t be bored. The fact that this tour says ‘bring a jacket’ leads me to believe that the weather is never great in this part of the world. When you arrive at Urquhart castle you’ll be shown a welcome presentation which tells you a little about the castle and its history. It is well worth a watch! I find it hard to comprehend history that happened so long ago but I had a lot of fun trying to imagine the people of the past wandering around the castle. There are quite a few steps and things around the ruins of the castle as you would expect. If your mobility is limited you may just have to view the castle from the visitor’s centre. 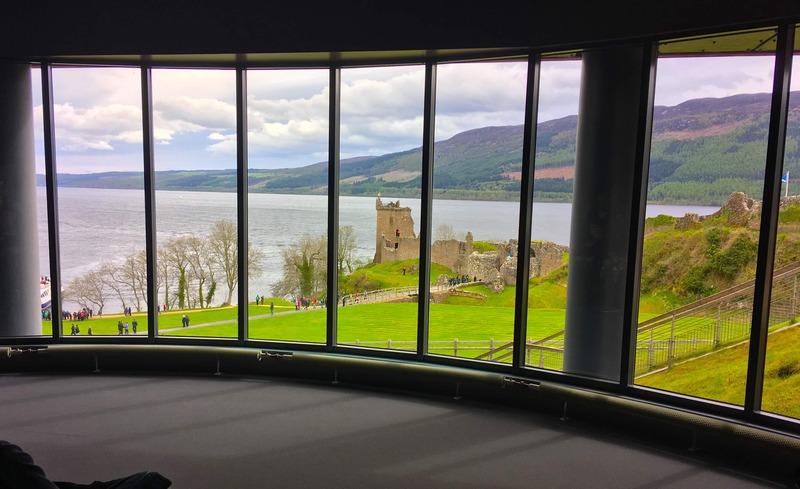 From the visitor’s centre, you really get a great view of the castle and the loch. I LOVED wandering around the ruins of Urquhart castle. The history behind the castle is so interesting and dotted around the ruins are exhibits and signs to teach you more about the castle and it’s past. 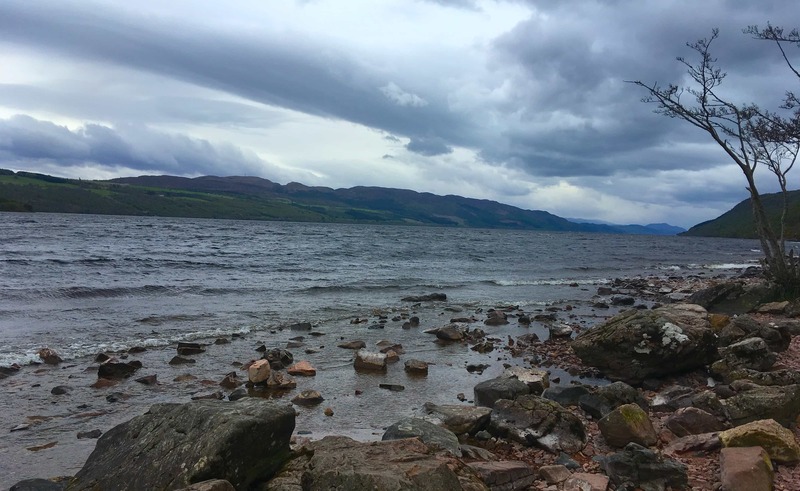 Urquhart Castle was plundered by the MacDonald clan of the Western Isles and then destroyed during the first Jacobite Rising of 1692, but legends persist that a cave beneath the castle is the home of legendary monster “Nessie. We never did find Nessie but I learnt a great deal about the loch. I honestly had no idea how huge the loch actually is. It’s impossible to appreciate the size until you are stood right beside it. The Loch is 22 miles long, one mile wide and 740 feet deep! It’s amazing to stand beside the loch and look out imagining what it would have been like all of those years ago. The return journey passes through Inverness and you’ll pass the cathedral and Inverness Castle. Apparently, the current castle dates from the 19th century, but a series of castles have occupied the site since the Middle Ages. This was my favourite tour and if I could only pick one it would definitely be this one. There is a lot of travelling involved and taking the tour with Princess made it really easy. 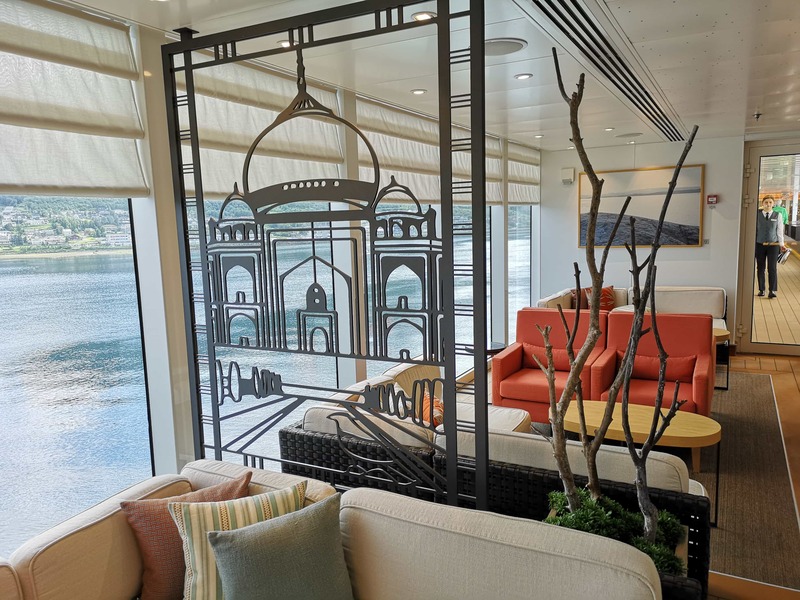 The tour takes most of the day but still gets you back in time to enjoy some peace and quiet on the ship. 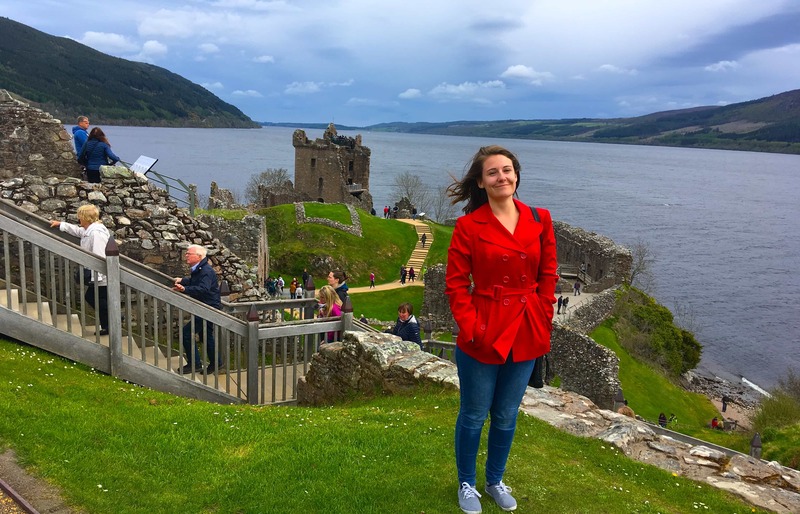 I found Loch Ness really interesting and I loved learning about the history of Urquhart castle. There is something really charming about the Scottish highlands! Both the Royal Princess and Crown Princess are currently doing this route which takes 12 days. 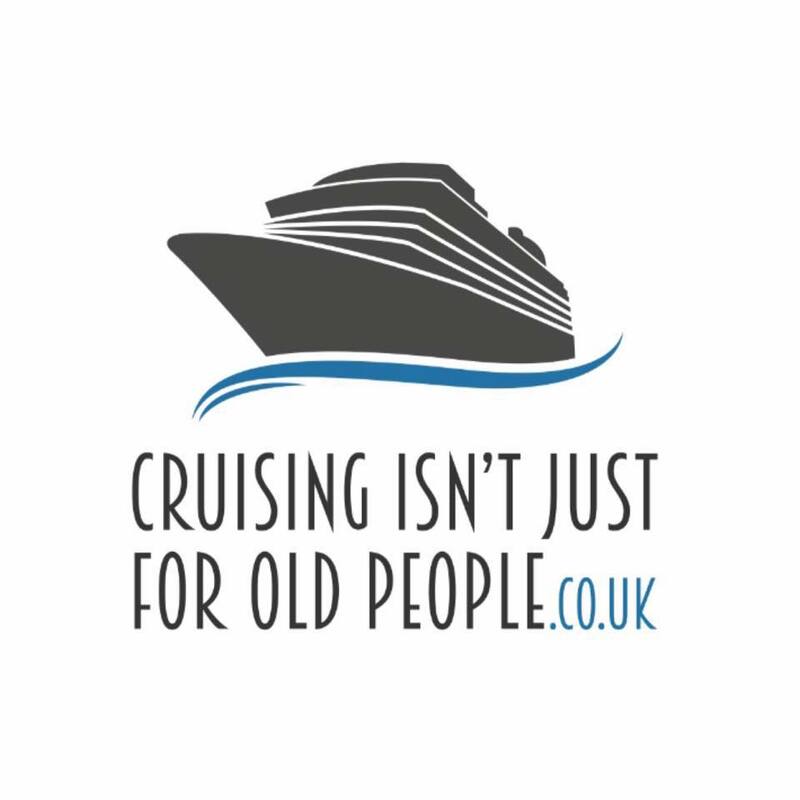 There are other cruises which are a slight variation on this one (one which stops in Liverpool for example). I think I’d quite like to try the one that stops in Liverpool so that I could take the Beatles tour! Would I recommend the cruise/excursions? 110%! I was honestly so surprised when I realised how many amazing places are right on my doorstep. I usually look outside of Britain when I cruise and wouldn’t normally have considered a cruise so close to home. The weather was glorious which probably helped. 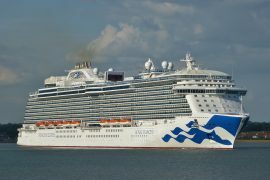 I loved the Royal Princess. She is such an elegant sparkly ship and I had loads of fun onboard. I filmed ship tour videos which I will be bringing you soon. Watch this space! For now though, why not check out my balcony cabin review? The bed was INCREDIBLE. 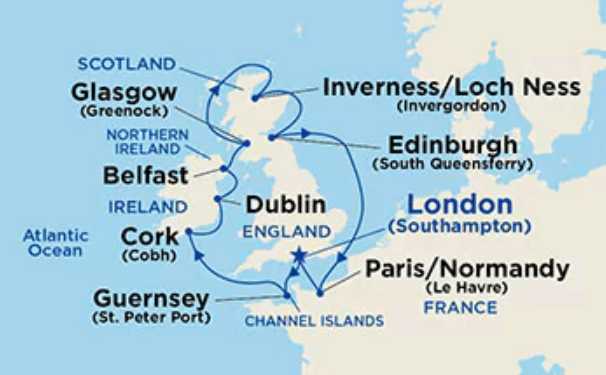 If you’d like to find out more about this cruise itinerary click here: British Isles Princess Cruises – British Isles Itineraries.